We're only a week into Patriots training camp, but the injuries are already stacking up at key positions across the roster. Today, the story was the wide receivers: Danny Amendola and Malcolm Mitchell did not participate, while Chris Hogan, Julian Edelman, and Matthew Slater all left during the day with injuries. Slater was the first to fall. Per PatsPulpit, he walked off the field to the medical tent "early in the session" and didn't come back. Hogan was next, getting his knee iced for an injury and finishing the day out on the exercise bike. Finally, Edelman appeared to injure his foot on a deep ball and exited practice, though he would return relatively quickly. It's never a good sign to see so many health problems pop up so quickly, especially when they're concentrated at one position. But thankfully, none of the injuries appears serious--and for veterans like the receivers, resting any ailments now is a better strategy than pushing it to get a couple extra reps. 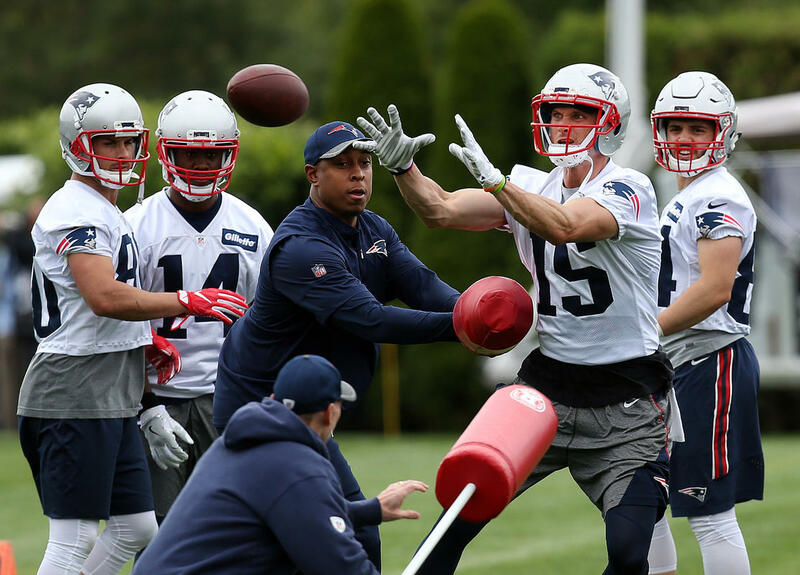 While it could be indicative of a larger problem with New England's practice regimen, it's more likely just a result of the readjustment to the training camp grind. For both the players' and the team's sake, hopefully the injuries decrease in the near future.